Bermuda’s retailers are planning a Sunday Shopping Festival the day after the MS Amlin World Triathlon Bermuda in April. The international sporting event attracts hundreds of amateur and professional athletes from the US, Canada, UK, Europe and Australia who travel with their support crew, families and fans. Bermudian World Champion Flora Duffy, who thrilled the crowds by winning the event in 2018, will race again this year. Hamilton retailers participating in the World Triathlon Sunday Shopping Festival will be listed in a BuyTri online directory and their numerous special offers will be promoted in the weeks ahead of the event. Hamilton stores will be open from 10am to 5pm on Sunday April 28th. Sunday parking in and around the city is free with the City Hall car park being the main shoppers parking. Other parking will re-open throughout the day as event organisers systematically remove barricades and pack up equipment used on race day. Other pre-event shopping promotions will be in place for the weeks leading into the event, including Hamilton grand prize draws on Thursday April 11th and April 18th, each for a shopping spree at participating stores. There will also be a grand prize draw on April 28th during the Sunday Shopping Festival with the winner receiving a travel voucher. Gibbons Company CEO and Bermuda Chamber of Commerce Retail Division Chair, Paula Clarke said; “Bermuda retailers welcome the opportunity to work with the event organisers to make this second ITU World Triathlon Series a memorable experience for visitors and locals. Working together, retail stores are offering extended hours and exciting shopping events to thrill our customers”. 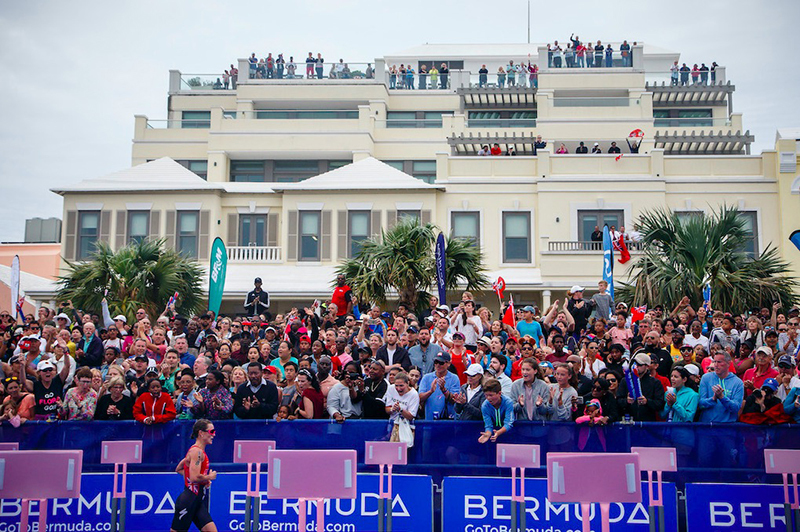 World Triathlon Bermuda Committee Chair, Pat Phillip-Fairn said; “We’re pleased to support retailers throughout the island, as they participate in one of Bermuda’s largest events of the year. The MS Amlin World Triathlon 2019 will be hosted in Hamilton on April 27th, 2019. It is the second of three annual World Series Triathlon events that the island will host; in 2021 Bermuda will be home to the ITU Grand Final and Age Group World Championships.